Pipers Creek Landcare are focused on gorse and blackberry control, and sustainable land use.They follow an integrated management plan – linking Bald Hill Reserve and surrounding landholders and implementing the Macedon Ranges Shire Council Bald Hill Reserve Management Plan. They encourage and help landowners control weeds obtaining funds and support to do so. Pipers Creek Landcare are pro-native and distribute native plant (and anti-cypress pine) advice to new landholders. They also distribute free plants to new members funded by Envirofund and plants supplied by Goldfields Nursery.They help educate new landowners on how to look after and sustain the land. The group has two Indian myna traps and an active trapping program to reduce the numbers of these feral birds. They hold regular BBQ meetings at various member locations. They are involved with neighboring group activities, such as Baynton Sidonia Landcare and the Friends of Bald Hill Reserve. 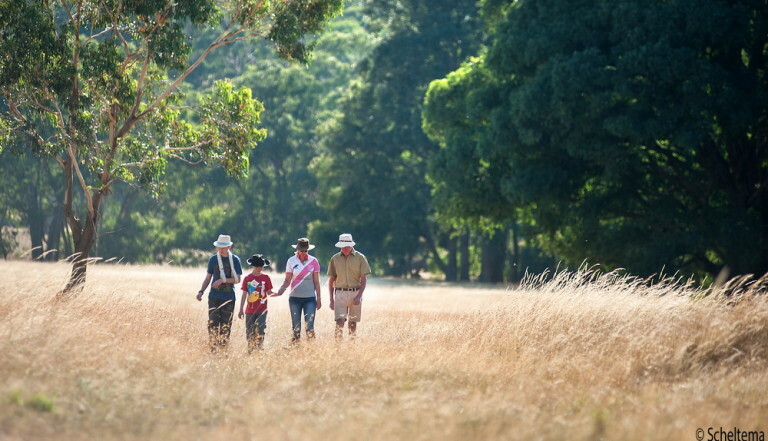 Pipers Creek Landcare has the slogan Landcare – “I care” and finds it works.